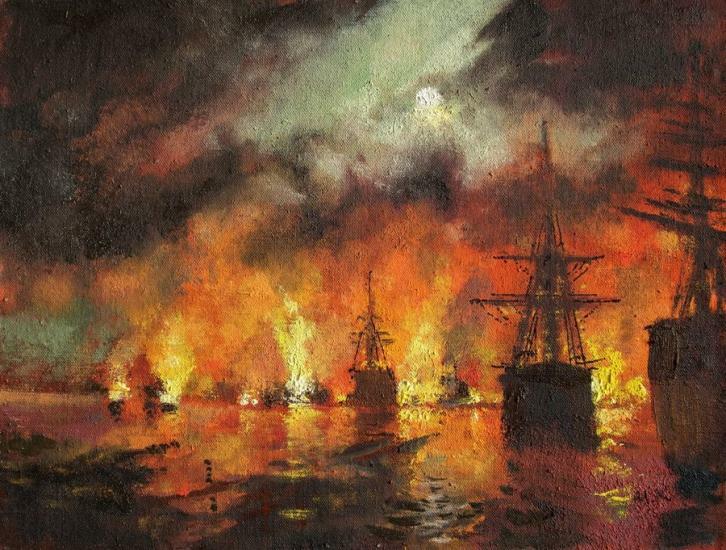 &#65279;&#65279;Naval battle. The main plot of the picture - a fire in the background, reminiscent of fireworks. It is this part of the canvas that attracts attention. Bright lights in combination with the dark colors of the night convey the mood of the battle. Panorama of combat operations is expanded by frigates in the foreground. The sky is covered with thick clouds of smoke. A picture of defeats and victory, of a black night of misery and suffering, of faith, of faith in the future..